WRM is pleased to announce the release of three new materials that we would like to share with you on March 21, designated by the United Nations as International Day of Forests. We argue that the supposed solutions that FAO has supported and promoted over the past 20 to 30 years have not reduced deforestation; far less have they effectively contained the climate crisis. These failed proposals are “Sustainable Forest Management”, “REDD+” and “Zero Deforestation” which is included in the recent New York Declaration on Forests. Without challenging the globalized model of production and consumption for the benefit of the few, these proposals have further strengthened corporate power, and have created an industry of “consulting firms” to “certify” which forests and monoculture tree plantations are “sustainable”. Moreover, there are covert links between “zero deforestation” commitments among REDD+ projects and trade in other “ecosystem services,” on the one hand, and the advance of destructive industries such as oil extraction, large-scale monoculture plantations, mineral extraction, hydroelectric plants, etc., on the other. We conclude that the “Change” mentioned by FAO as part of its theme for March 21 does not represent any real change at all. In preparation for the climate summit (COP 21) to be held in Paris in 2015, we ask everyone to join the Call to Action prepared in 2014 for the climate summit in Lima, which directly shows and denounces these links and voices a clear NO to the false solutions for the climate crisis involving offsets. See the Call to Action here. 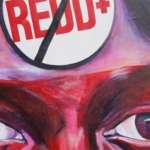 – The second document we are officially launching is a new publication titled “REDD: A gallery of conflicts, contradictions and lies”. It summarizes reports from 24 REDD projects and programs around the world. They all share one common characteristic: they all show a number of structural characteristics that undermine forest peoples´ rights, or fail to address deforestation. As carbon offset projects, they all fail to address the climate crisis, because by definition, offset projects do not reduce overall emissions: emissions reductions claimed in one place justify extra emissions elsewhere. – Thirdly, we have produced a short video titled “This is not sustainable”. This two-minute video is a rebuttal of the one-minute video produced by FAO for International Day of Forests. The video aims to challenge the FAO video for March 21, which narrowly and erroneously views forests as if they were a “storage facility” for wood and carbon. We hope these materials will contribute to the critical debate that is sorely needed on the road towards this year’s COP 21 to be held in Paris, France. Ambitious targets for rigorous reductions in global CO2 emissions, especially in industrialized countries, are vital to contain the climate crisis. By definition, offset programs to compensate for deforestation, do not offer a path towards mitigating climate change: on the contrary, they are a distraction.